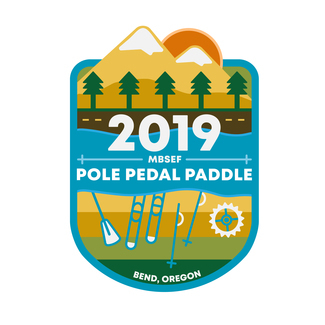 It's springtime in Bend and that means it's time for the 2019 SELCO Pole, Pedal, Paddle!. The fun happens on Saturday May 18th this year and we need LOTS of volunteers to help with this long standing community event. You can join the fun by gathering friends, family, neighbors, or even strangers and volunteering together! It's super fun and volunteers receive a highly coveted PPP t-shirt and snacks for the day. The SELCO Pole Pedal Paddle is one of the premier sporting events in Central Oregon, with over 3,000 participants from all over the country ages 7 to 75+ and 12,000 spectators enjoying this multi-sport activity that begins at Mt. Bachelor and ends at the Les Schwab Amphitheater in Bend, Oregon. Individuals, pairs, and teams of all ages will alpine ski, cross country ski, bike, run, canoe/kayak and sprint to the finish. The finish area in Les Schwab Amphitheater is a festive atmosphere with food booths, a beer garden, awards area and other activities. So, peruse the schedule below to find a spot or two where you would like to help and sign up now so that you don't miss out on the fun! Will probably not arrive until noonish. Excited to help again this year. I was at this station severals yes ago. RHFT - Whatever is needed! My wife Talisa will help too.